Container platforms are technological advancements that have been steadily gaining momentum. Containers streamline the process of building and shipping apps by isolating groups of processes from one another. In a world dominated by big data and online services, container technology has become the next big thing in software development. 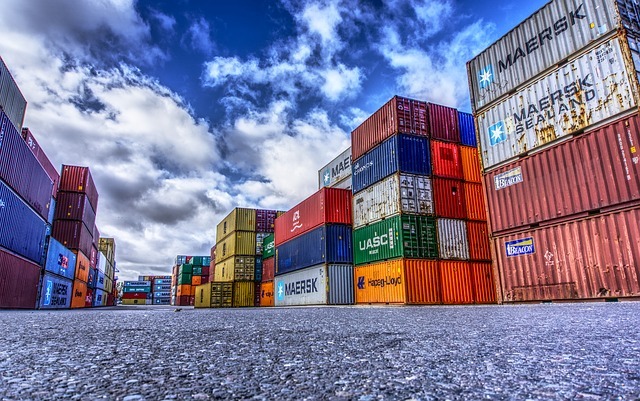 As companies strive to make their IT environment faster yet more simplified, containers have become critical in the daily operations of enterprises from all industries. Container platforms are technological advancements that have been steadily gaining momentum. Containers streamline the process of building and shipping apps by isolating groups of processes from one another. In the most basic sense, containers enable users to pack more computing workloads onto a lone server. It boosts the capacity for computing in an instant. This basically means enterprises can operate with premium interoperability while reducing resources, hardware, and space utilized. According to a report by Accenture, in 2016, 81 percent of executives believe that platform-based business models are critical to their growth strategy over the next three years. Platforms companies already represent $2.6 trillion in market capitalization globally. This new digital model has trailblazed an entirely new path of growth. The quick adaptation of container platforms stems from its provision of various needs. With the increase in service providers, IT managers must ensure that the developers contracted have the capacity to ensure that applications within the said containers are scalable as well as resilient. In order to make the best possible decision in choosing your provider, here are basic questions you need to ask. How is security ensured and maintained? Compartmentalizing your system is already a security mechanism, but what are the tools and measures being employed by your vendor to ensure your data is kept safe and confidential? Operational Scalability. Scalability acts like a moving target. There are many cases when having your own customizable system is necessary but in cases where you’re just starting out, an easy-to-use solution that’s scalable is often a good alternative. Ask providers for options as well as the extent to which they’re flexible, while considering your own budget. Is it easily integrated? With the global move towards a highly-digital world, you need to have a system that is compatible to your other platforms. Is your container going to be compatible with other systems like Google and the like? Portability – One of the key benefits of container platforms is the fact that it offers mobility. With cloud computing at the forefront of technology, users should be able to experience portability between environments while achieving consistent functionality. Agility – Containers should be able to ensure consistency across multiple platforms and cycles. Users should be able to make changes while having access to component rollbacks, when necessary. Compartmentalization – Containers ensure that applications and resources are readily segregated and isolated. They also ensure security by running applications is isolation from each other while providing complete control over the flow of traffic and management. Enhanced Productivity – A good system allows an enterprise to streamline the development environment to make it interactive. With less risk and better operationalization, you should be able to minimize expenses caused by damage control. At the same time you reduce redundant personnel and lower the cost of overhead expenses. IT teams are able to achieve unparalleled efficiency in software delivery and address multiple challenges brought about by traditional virtualization. When making your decision, use the above criteria as a launchpad and decide on what’s really important for your firm. Knowing your business goals is essential to selecting the right platform for your company. The good news is there is a huge selection of container platforms in the market. The time has come for enterprises to learn about the various opportunities available because software and digital presence is only going to become more critical in the near future. Previous: What Are Cloud-Native Containers?